Oven Cleaning Kent - If you are looking for a best oven cleaners in Kent, look no further. We take pride in our work; we guarantee to provide best oven cleaning service at the lowest price possible. Ovens are one of the most difficult and time consuming chores to endure which you continually avoid. No matter how much you attend to cleaning your oven, you find that it can never look as remarkable as it had brand new. Clean Professionals Oven Cleaning Kent, are the ideal experts for restoring your ovens, allowing them to look newly fitted. This means no more endless unbearable scrubbing! Not only are Clean Professionals certified and insured with the knowledge to clean any oven, We can also replace bulbs and filters upon request! Clean Professionals oven cleaning Kent is your perfect choice for end of tenancy oven cleaning. 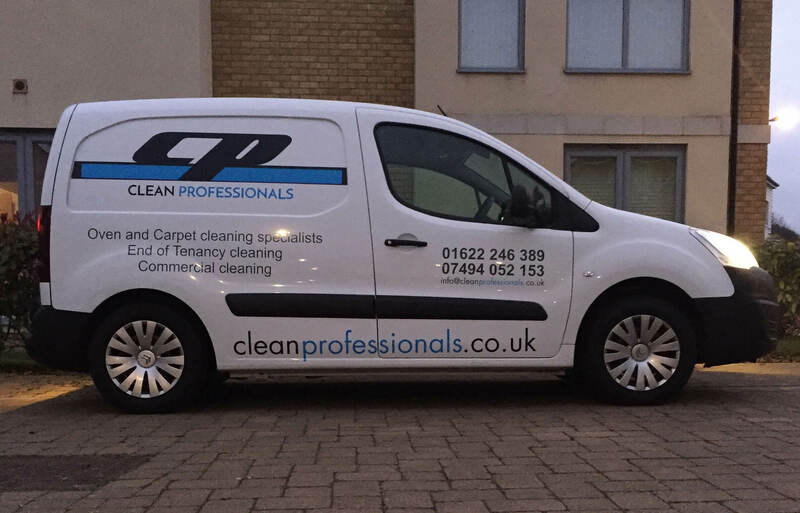 For a free, no obligation quotation, why not give Clean Professionals Oven Cleaning Kent a call today? Using a strong chemical heated dip tank, all shelving is removed and placed inside whilst the remainder of the oven is cleaned. This is so food residue loosens and disperses. Our thick foaming solutions are used to spray the interior of the oven, designed to latch on to grease and oils on the walls. With our specially designed handheld scraper, we are able to easily remove all stubborn burnt on carbon and grease even if it has remained for a long duration of time.